We are successfully engaged in trading, importing and exporting a premium quality gamut of Bio Green Washing Ball. 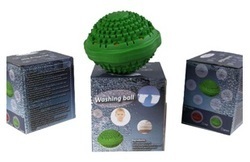 Washing Ball is a simple device that can be used with almost any washing machine. No detergents are needed when using the Washing Ball, resulting in significant cost savings, apart from freedom from skin allergies that detergents tend to induce. One kind of Eco laundry ball, environmental protection and economy, can release ions, soften fabric with strong power of decontamination, save water and electricity. We are engaged in providing marketing service such as aquafresh, mixer juicer, suffayar foce watch etc. • One kind of Eco laundry ball, environmental protection and economy, can release ions, soften fabric with strong power of decontamination, save water and electricity. • For washing various clothes, environmental protection, save water and power. effective and more demanding product. can release ions, soften fabric with strong power of decontamination, save water and electricity. 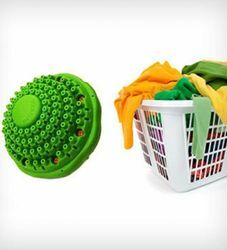 - Benefits of Washing Balls Wonder Washing Ball Is The Latest Invention In Washing Technology A533; No detergent needed , chemical free wash keeps your clothes soft & tender, No color fading, increases the life of clothes. •This product collects high efficiency in cleaning, detaining of heavily soiled substances. •Unique blue washing factor has strong soil removability, it can efficiently remove stains and Clean our clothes easily. •without phosphor, Boron Harmful Chemicals, healthy and No residue.